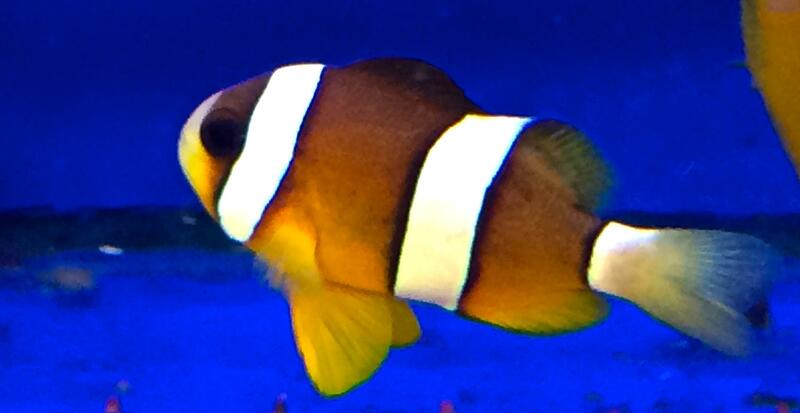 The Clarkii Clownfish with it's vivid colouration and amazing personality along with it's extreme hardiness is a another favourite amongst reef fishes. With a captive maximum size of around 10 cm and it's ability to adjust well to aquarium conditions it is a great addition for most reef aquariums. They will happily feed on most prepared foods such as flake, mysis, brine etc. , they will associate with most anemones in the wild but will be very happy without a host anemone in captivity.